Read more from Jorge Luis Borges on The New Yorker. New York: Dutton, (1977) First US printing. Collects thirteen new stories by this Argentian writer - stories which blend elements from many literary genres: the in Rethinking Curating: Art after New Media (2010) von Beryl Graham und Sarah . Yet the emphasis is institutional rather than autobiographical. I believe to have . Jorge Luis Borges. New York: Columbia University Press, 1971. Alcorta, Gloria. “Entretiens avec Gloria Alcorta,” in L'Herne, Paris, 1964. Bloom, Harold, ed. Jorge Luis Borges. New York: Chelsea House Publishers, 1986. Borges, Jorge Luis. 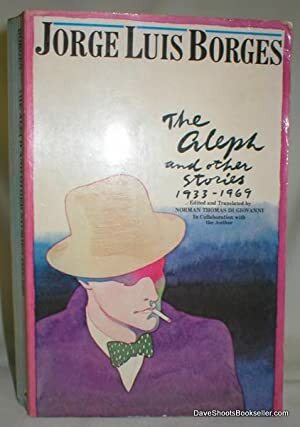 “An Autobiographical Essay,” in the Aleph and Other Stories, 1933–1969.